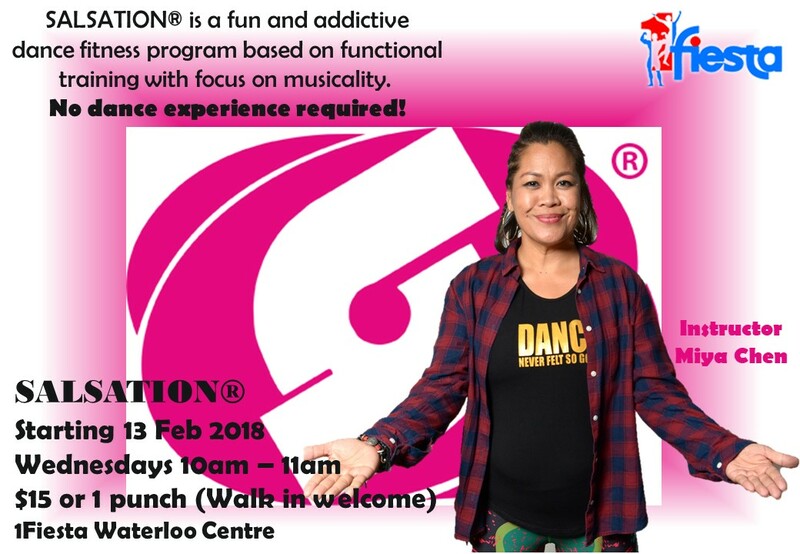 SALSATION® is a fun and addictive dance fitness program based on functional training with a very strong focus on musicality and lyrical expression. This pioneering program converts functional training protocols into innovative dance moves, ensuring the body moves in a natural and healthy way. Movements are controlled and very grounded making it safe and gentle on the joints and fun for everyone! Why do we call it SALSATION®? SALSATION® is a mix of the words salsa (hot spicy sauce) and sensation. Salsa, as in the mix of different rhythms, cultures, dances and fitness protocols. Sensation is the feeling you get from the program’s strong focus on musicality, lyrical expression and feel good effects from the functional training on your body.